Weighted gloves, also called MMA gloves or power gloves, are primarily used for upper body fitness and come in various shapes and sizes. This type of weighted clothing not only promotes hand speed among boxers and martial artists but also helps build muscle mass in the lower and upper arms. 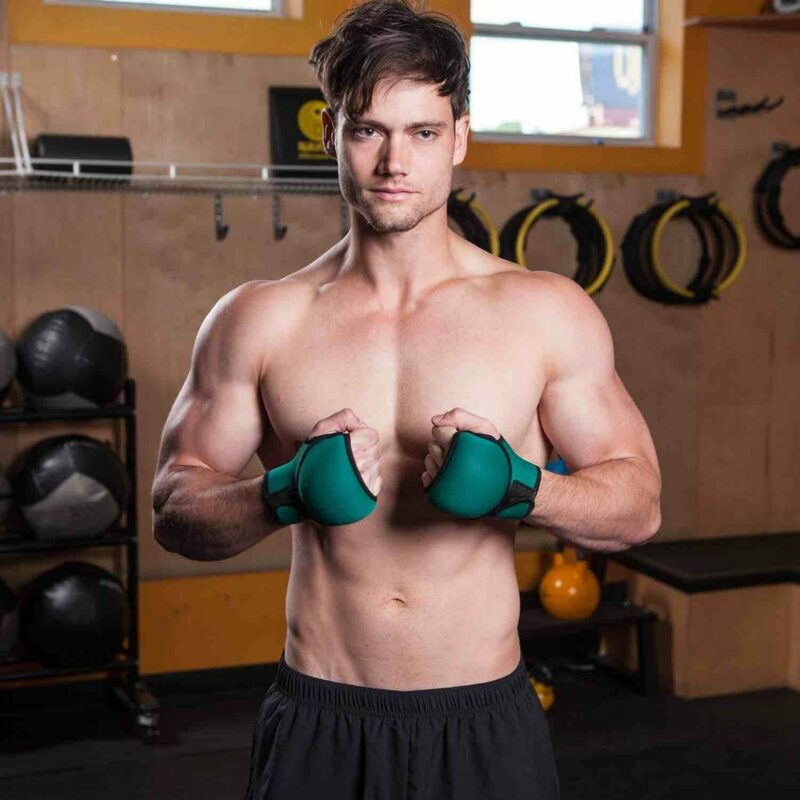 We highly recommend weighted gloves for any athlete looking to take their upper body fitness to the next level. It’s important that you do your research when buying weighted gloves. Choosing a pair that doesn’t fit you well can lead to blisters and irritation. Lucky for you, our team has put together a comprehensive article of our favorites. Read on to see our list of the best weighted gloves on the market today! Nayoya Weighted Gloves are the best weighted gloves that money can buy. These gloves weigh 1 lb each, just enough to add some intensity to your workout without slowing you down. 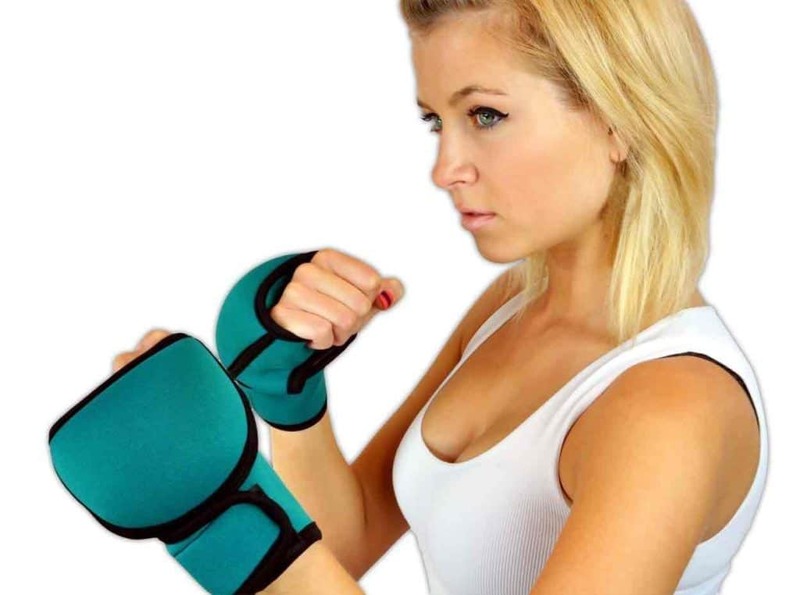 Whether you’re looking for MMA gloves, kickboxing gloves, or just want to get stronger, the Nayoyas will improve arm and shoulder strength and improve hand agility. The Nayoya weighted gloves are made of neoprene material to ensure best-in-class durability, provide a comfortable fit, and prevent slippage. They’re unisex and one-size-fits-all. They’re even popular among stroke victims who need to re-train one side of the body. Versatile and effective, you can’t go wrong with these gloves. My only complaint is that these MMA gloves are not weight-adjustable. 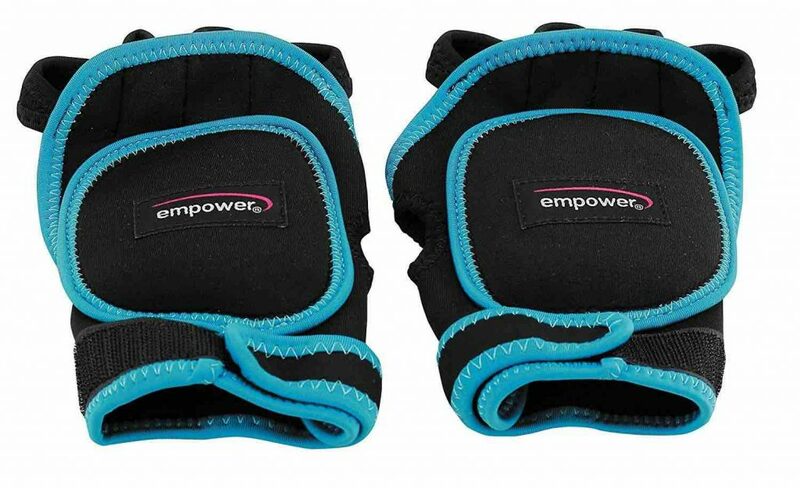 The Empower weighted gloves (1 lb each) are by far the most comfortable weighted gloves we have tried. If you’re a guy, don’t be concerned that Empower markets these gloves for women. In reality, the sizing is adjustable and men can easily and comfortably wear them. Take it from me – I’m a guy with very large hands. They were comfortable on me when running on the treadmill. Whereas the Nayoya power gloves have a strap that goes across the palm, the Empower weighted gloves are open-palm. This feature is important because it prevents wearers’ hands from getting clammy and sweaty. Not only that, but the open-palm design also allows for easier gripping; if you want to lift weights or do other activities that require your grip, these gloves will accommodate you. If you typically run small in most apparel, or find that most power gloves are too big for you, I think these would fit you perfectly. Each glove clocks in at 1 lb of weight, and the fit of these gloves seems perfect for women under 5’7″. These weighted gloves also have a semi open-palm – they don’t expose the skin, but have a highly breathable mesh. Free Use of Hands: Kind of obvious, but very important. When choosing weighted gloves, look for gloves with weights placed on the backs of the hands; any other glove will restrict your ability to push, pull, and grasp. This is especially important for people looking for MMA gloves or weighted boxing gloves. Adjustability: Another important consideration: adjustability. We’ve been careful to only include adjustable-fitting gloves in this “best of” list because non-adjustable gloves are a real drag. Non-adjustable weighted gloves prevent you from tightening/loosening the gloves in a meaningful way, preventing you from achieving your perfect fit. 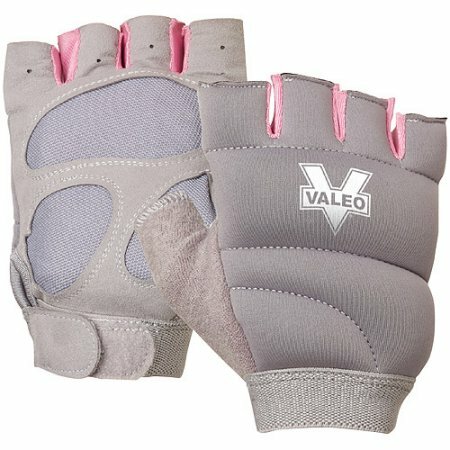 Go with a pair of adjustable weighted gloves so you can customize your fit. Comfortable Fit: We can’t stress enough how important it is that your weighted gloves are comfortable to wear, don’t chafe you, and don’t give you blisters. Pay special attention to the material the gloves are made of; is the material flexible or rigid? What size are your hands? You may need to try a few sets before you discover the best weighted gloves for you. We are confident that our favorite weight gloves listed above will set you up for success. Whether you’re a professional athlete or a casual enthusiast, weighted gloves are a small investment that can reap huge rewards. Always consult your trainer or physician before adding something new to your workout regimen. Also remember that your hands are sensitive, so when preparing to use weighted gloves, you need to make sure your fit is absolutely perfect. Interested in other weighted clothing? 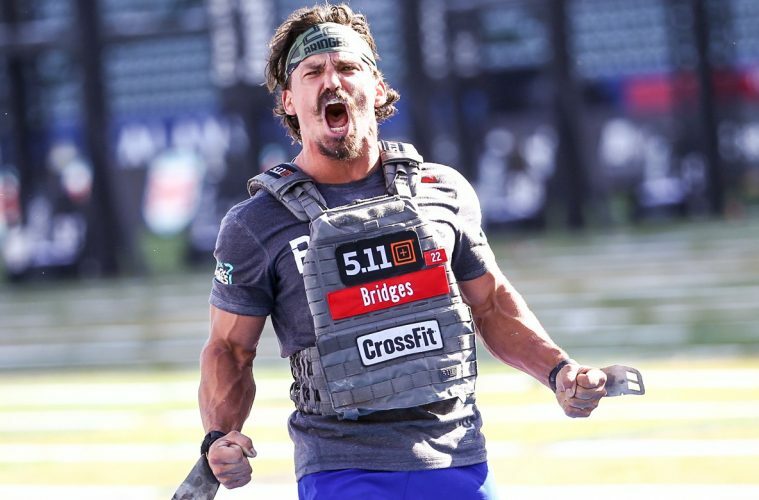 Check out our article on the best weighted vests.